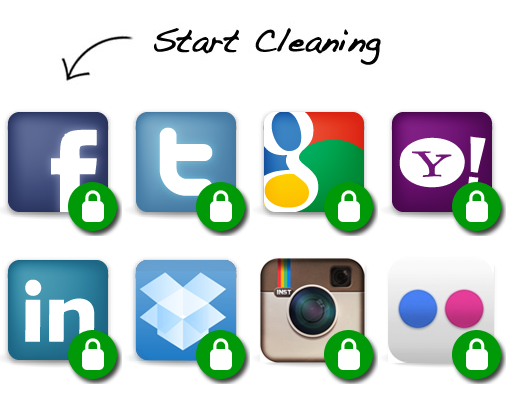 It’s Time To Clean Up Your Social Media! It’s true of most jobs… when an employer is looking to hire new staff and they go go through a multitude of interviews, sometimes many of the prospective candidates are very similar and it’s hard to choose, so what’s the next things that employer will do? A quick search for you over social media sites, just to see if anything they don’t like the look of comes up! And this is totally true for Camp Directors too when they are hiring new camp counselors! I know that we all have a few dodgy photos up on our Facebook profiles, ones that are hilariously funny to you and your friends, but maybe not something you want a future (or current) employer to see. So while you’re doing your application for summer camp, waiting to get hired (or even if you’ve already been hired at camp), it’s a good idea to just go back over your social media channels (whether that be Facebook, Twitter, Youtube, Instagram or something else) and double check that there isn’t anything incriminating or offensive anywhere that could put someone off hiring you. Or even better, why not set your profiles to private? You can make sure everything you post on Facebook can only be seen by your friends; hide those awkward videos of you on Youtube by setting them so they can only be accessed with the link; set your Instagram so people have to request to see your photos; and change your Twitter account to totally off the grid. Remember that everyone will still be able to see your profile pictures, so please make sure these aren’t going to let you down at the last hurdle! I’m well aware that this all seems a bit excessive, and you’re thinking ‘urgh, I really can’t be bothered’, or ‘but how will I get more followers on Insta/Twitter if no one can actually see what I’m posting?’… but it’s pretty much a given that if a camp director who is trying to decide between you and another candidate comes across that photo of you with your head in the toilet and a beer in both hands, they will choose the other guy. So sort out your social media people…you can change it all back at the end of the summer! And who knows, after a summer at camp with little access to the internet, you might not care so much about getting the most likes or followers anymore anyway?! Great post! This is so true. Also for volunteer camp positions as well. I’ve been a camp dean since 2000, and if I see things being posted on social media that are not appropriate for campers to see, it *greatly* weighs on my decision of whether or not to ask (or ask back) a counselor, even if this person has been a counselor for me for several years. Counselors are role models…sometimes the best and most stable influence a kid has. We can’t tell them one thing at camp and then live our lives differently online.